South Carolina Republican Tim Scott made noise with a Washington Post op-ed pointing out the problem with fellow GOPer Steve King of Iowa using “offensive” buzz words, how Republicans pay for the use of such words and the need to cease using such words. “I will admit I am unsure who is offended by the term ‘Western civilization’ on its own, but anyone who needs ‘white nationalist’ or ‘white supremacist’ defined, described and defended does lack some pretty common knowledge,” the one of three Black senators wrote in January 2019. “Some in our party wonder why Republicans are constantly accused of racism—it is because of our silence when things like this are said,” he added. If only, you had stopped there. Unfortunately, he went on to falsely equate Nation of Islam Minister Louis Farrakhan with racial “extremism” that’s a hallmark of Republicans. Mr. King tried to draw a narrow definition of White Nationalists and White Supremacists, citing heinous racial crimes committed by avowed believers in this All-American doctrine. But the belief Whites are superior and should be in the superior position are ingrained in America’s DNA and the political DNA of his Republican Party. That Mr. Scott is an expression of White Nationalism and White Supremacy. Consider the current White House occupant who called Haiti and other Black and Brown nations “shitholes,” and asked why can’t America just import more good Scandinavian White people? “For years, Trump perpetuated a conspiracy theory former President Obama, the nation’s first black president, was not a U.S. born citizen because he was from Kenya. Trump launched his campaign by referring to Mexican immigrants as ‘drug dealers,’ ‘rapists,’ ‘killers’ and ‘murderers.’ … Over the summer, Trump blamed ‘many sides’ for neo-Nazi violence,” observed Newsweek in a January 2018 article. Remember Republican George Herbert Walker Bush and his infamous Willie Horton 1988 presidential campaign ad? It used crimes committed by a Black man on furlough to win an election by using racial paranoia to court White votes. “When a political action committee used Horton’s mug shot in an attack ad, he became part of an infamous election-season strategy to stoke fear and racial anxiety among white voters,” the Post reported. 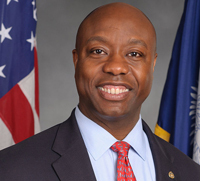 Sen. Scott, your party has a sordid record on race and has steadily used race to win votes, disenfranchise Blacks and consolidate political power. 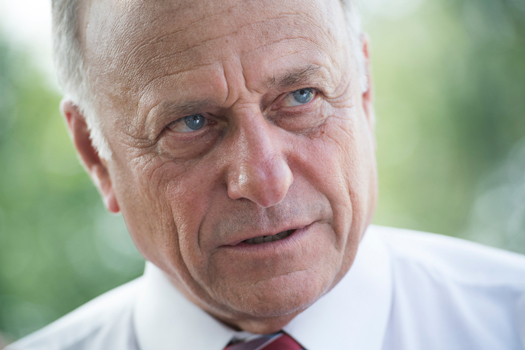 Today, it prefers a kinder, gentler approach—not the naked racism of Rep. King. So Min. Farrakhan, a man who points out the evil of this country and your party isn’t an extremist, he is actually a patriot. He knows America must face the mirror of her ugly history, repent and change, if she hopes to survive. But I’m sure that sounds extreme to White supremacists of all stripes. Richard B. Muhammad, an award-winning writer, is editor in chief of The Final Call Newspaper. Follow @RMfinalcall on Twitter and get more at www.richardmuhammad.com.